Very cool. Thanks for posting. I imagine you can identify a lot of those models. I'm thinking the little single axle, kinda in the forefront to the right with the door at the rear, is a T-1200? Jon, that parking lot pic really looks cool!!! 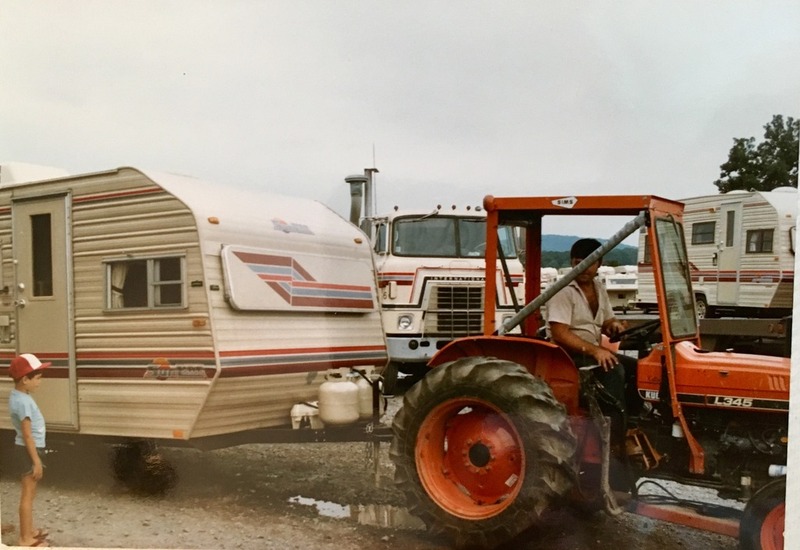 And the other little camper with the tractor is great! Wish they where still here. I can. No such thing as a T-1200 though, but there was a 1250. Very rare one by 1986, so I'm not surprised there aren't any in view. First wedge trailer is unknown. Second wedge can't really tell either, but looks like some sort of Saturn. Third wedge has a T-1661 on the front, a T-1850 in the middle, and possibly another T-1850 behind it. Fourth wedge is a T-1550 on the front, unknown behind that. Fifth wedge is a T-1350 on the front, T-1750 behind it. Last truck camper in the row there is a C-950 or 951, can't tell which model package it is. 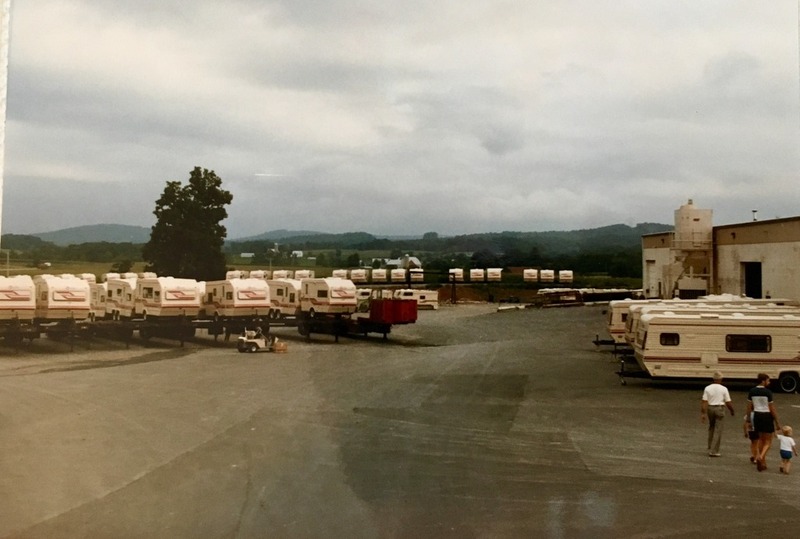 The trailer on the right is a Seville, either T-2750 series or 2950 series. Hard to tell with a partial view. I'm going to bet 2750 though. Yep, that's actually their 2104! It had to be towed in by the tractor after the hitch broke. The tractor is a late '70s/early 80s Kubota L345 diesel, which isn't seen much now either. That cabover International though! With Sunline striping to match! That would be a sweet truck to have now. I can. No such thing as a T-1200 though, but there was a 1250. Is their a tenant in the old plant today? Ever more WOW.... I did not even notice that until you said something. That was a great time at Sunline! Yes, a couple tenants. Martin Construction bought the former parts and engineering facility. Sturdy Built Manufacturing bought the main plant and property, and has built a few new buildings on the site to house materials and equipment. They seem to build dairy farming equipment. 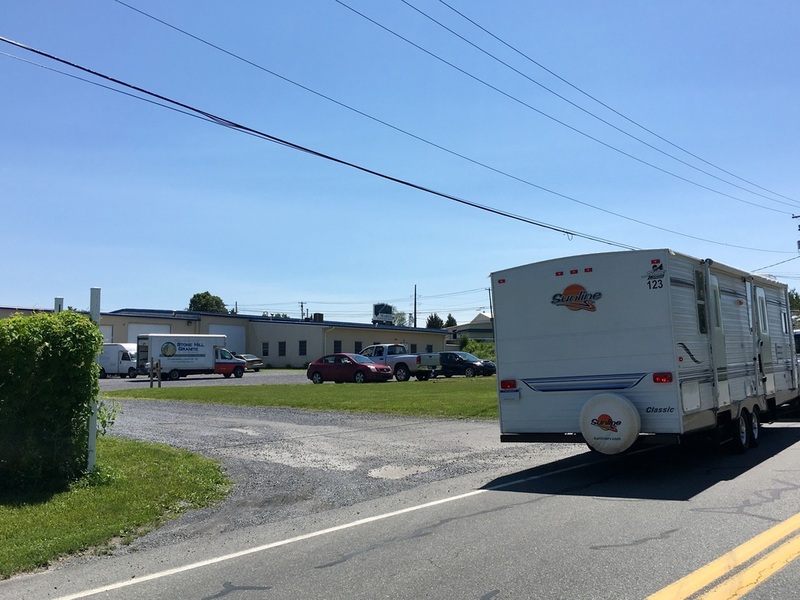 Across the street, the corporate office and former small manufacturing plant (the 1000 series VIN trailers, built until around 1994) was bought by Precision Coating Tech, a powder coater. They set up a powder coating line inside the building. If I were closer, I'd consider having them do my '97s wheels! driver and Transtar fan, would love to have it myself! Thanks for the photos Jon, I love to see anything that shows what things looked like when new.